Islamophobia is something that has crossed my mind over the last year. Before then, the concept of others fearing a religion was not as openly discussed. I’m sure you’ve all witnessed some sort of hate against Islam; whether that be a derogatory comment, a hate crime or a disheartening news story… Today it’s become something that is far from uncommon. When we hear the term ‘phobia’, we often think it’s nothing more than irrational fear. I’ve recently learnt to sympathise with those who succumb to these emotions; because when you really think about it, fear isn’t a form of aggression. Although in the instance of Islamophobia, that is unfortunately not the case. The term Islamophobia is not to be confused with the criticism of Islam – there are a lot of people who innocently disagree with a few beliefs about the Muslim religion which is totally understandable, but that’s not what we’re talking about today. 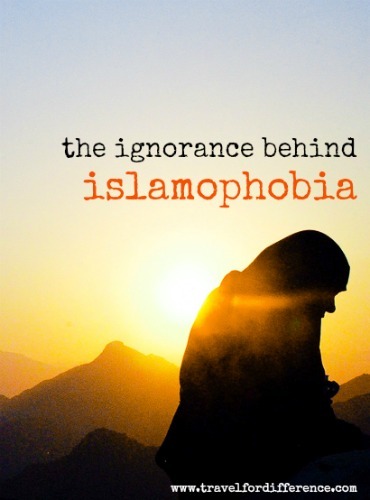 Islamophobia is the direct and exaggerated fear, prejudice, hatred or hostility directed towards Islam or Muslims. Resulting in bias, discrimination, marginalisation and exclusion of Muslims from social, political, and civic life. The kind of behaviour you probably never hear about, because as Suzanne states in the video below, they’re not commonly displayed in everyday media… We’re too concerned about celebrity gossip and the latest online trends. Terrorist attacks from a few horrific extremists have driven an idea into our heads, that Muslims are all the same; that all Muslims have the intention to hurt or kill. That all Muslims should be seen as people who inflict abuse and suffering. I, of course, understand the concern lying around terrorism, but this concern should not be imposed upon the entire Muslim population. There are extremists in the religion that are causing extreme terror around the world, but they make up for only 006625% of all Muslims around the world. What we also seem to forget, is that 62% of the religion’s population are in Asia-Pacific… Contrast to our assumptions, only 18% are in the Middle-East, which is ultimately where the extremism is stemming from. That should be enough proof. What I encourage you to see, is that being Muslim is merely a faith. It doesn’t change the kindness in their hearts or their ability to show care, mercy and respect. During an episode of Ross Kemp whilst fighting against ISIS with a group of Syrian troops, and Islamic man said something that made me stop and think. An article of mine – My experience with Muslims in Brunei – recently went viral, being shared more than 3000 times. As a result, a lot of Muslims contacted me; many commented on my blog and reached out to show their appreciation, that someone finally wrote a positive article about their religion. I was praised for showing a side of their culture that is frequently seen as having inhumane beliefs. We fear Islam because their beliefs are so far from what we believe to be right. But what makes our beliefs more heroic than theirs? We fear Islam because a few people under their religion have done some horrific things. We fear Islam because, for their entire existence they have been pushed into a category of ‘other’. In the last 72 hours in the USA, there have been 263 people killed/injured around the country. What puzzles me is that at no point are regular citizens fearing Americans, Christians or Catholics. If in these instances the deaths were in the hands of a Muslim, the religion would collectively be discriminated for a violent act from one solo individual. Ultimately resulting in every innocent Muslim being labelled as a terrorist. I hope that one day the entire world will see that Muslims are people too, because at this point they are treated as something that is far less than human. It’s so devastating to see how this exaggerated fear has driven intolerance and prejudice towards an entire religion. In the video attached below, Suzanne speaks about her experiences as a Muslim American. The direct discrimination she faces as a result of wearing a piece of cloth on her head and having a ‘label’ that most of society fears. She speaks openly about the death of her 3 family members, and the way that Islamophobia has affected her innocence. I understand the hatred against terrorists; they’re extremists with views that are completely barbaric. But I will never understand the hatred against Islam, Muslims or any person who’s never showed anything but kindness. 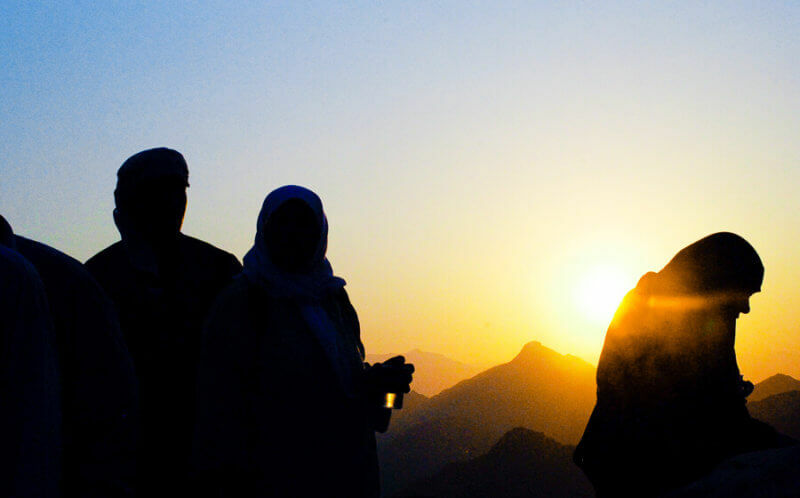 I stand with Muslims in solidarity… Do you?